The time has come for the annual stash order! 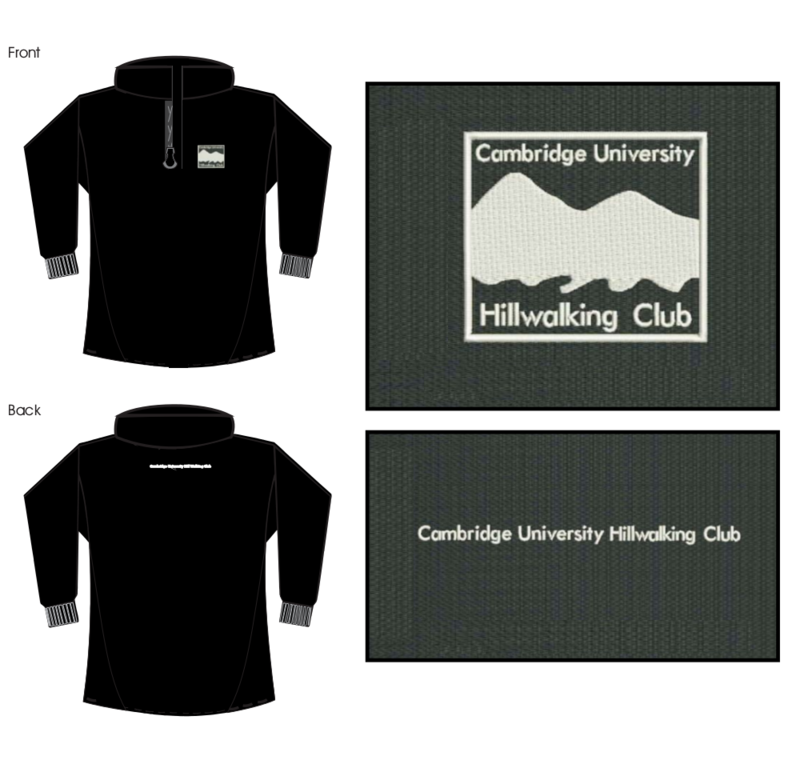 On offer are CUHWC-branded mugs, embroidered beanies and fleeces, and several designs of T-shirt. Please place orders by WED, DEC 5TH. You'll receive an email shortly afterwards to check the details of your order. Following payment, your stash will be ready to collect at the start of next term :-). MUG: Hillwalking and tea sort of go hand in hand. If nothing feels better to you than a hot cup of tea after a cold winter walk, or simply after your daily cycle ride, this mug is for you! Ideal as a gift for friends and family too. They cost £7 each. FLEECE: Winter is coming, so keep warm with Craghoppers half-zip micro fleeces. These cost £26 and are embroidered with the club logo on the left chest, and with the full club name at the back. BEANIE: We've some great Thinsulate fleece beanie hats, ideal to keep your head warm on a chilly walk! They cost £8 each, and are embroidered with the club name. T-SHIRT: Our most popular items, the club has three t-shirt designs available. 'All-weather', 'Road signs' and the 'Weekend options' designs will cost approx. £15 each and come with the CUHWC logo printed on the left chest, and main design printed at the back (design print color is cream). If you'd like more than 1 t-shirts of different designs, please indicate the size and colour of each. PLEASE NOTE: If you'd like two or more t-shirts, please submit the form again.